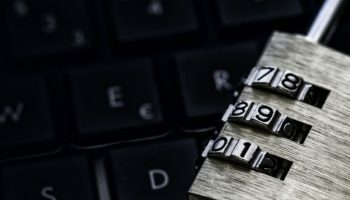 When is Data Privacy Day 2019? How to Celebrate Data Privacy Day? Ivacy has been at the forefront of data privacy rights for internet users around the globe and has made sure the brand reflects this. Ivacy has over the years established itself as the go-to VPN for internet security and anonymity, all the while introducing new and innovative features for beginners and tech-savvy internet users alike. There is no better time to recognize these accomplishments than on Data Privacy Day 2019. Tired of geo-restrictions? Get Ivacy VPN to expand your horizons! Data Privacy Day being an international effort focuses on creating awareness about respecting everyone’s privacy, safeguarding data online and enabling trust. The Data Privacy Day campaign is officially led by the National Cyber Security Alliance and is advised by a distinguished committee of privacy professionals to ensure the campaign aligns with current privacy issues in a meaningful and thought-provoking way. The signature event is part of greater privacy education and awareness effort. Throughout the year, the NCSA educates consumers on how they can control their online presence, all the while showing organizations that privacy is always good business. NCSA’s awareness campaign is a vital component of the STOP.THINK.CONNECT initiative – global privacy, security, and safety campaign. Want to stay anonymous at all times? Get Ivacy VPN to hide your internet traffic. Data Privacy Day was first celebrated in the United States and Canada back in January of 2008. Essentially, it was an extension of the Data Protection Day celebration held in Europe. As for when the Data Privacy Day takes place, it does so on the 28th of January of every year. The reason why Data Privacy Day takes place on the 28th of January because it commemorates the signing of the very first legal international treaty for data protection and privacy. There is no doubt about the fact that data privacy, at least when it comes to regular users, is a concept that’s fast becoming obsolete. For the past few years, vendors and merchants have constantly fallen prey to data breaches that exposed vast troves of consumer information. Even worse, digital advertising has morphed into a form of 24/7 surveillance, as evidenced by scandals like the ones surrounding Facebook in 2018. 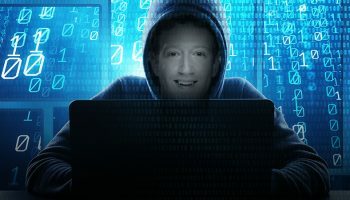 All of this has combined to create a landscape that’s dominated by distrust, especially from the part of users which, through no fault of their own, had their data stolen and traded on the Dark Web. However, with proper security awareness and a small checklist, users can boost their data privacy and online security. This way, even in the event of a data breach or a large scale attack, they can make sure their financial info or sensitive data does not get into the hands of malicious actors. The first critical step to take is choosing strong, unique passwords for each account and enabling two-factor authentic whenever possible. Because SIM hijacking still happens at scale, we recommend pairing a strong password with a uniquely generated code from an app like Google Authenticator. That means that, even if an attacker gets a user’s password, they won’t be able to login to the account, as they won’t have the unique 2FA code. To manage a lot of passwords, users should consider using a password manager. A paid solution is offers more flexibility and convenience but free, open source password managers are just as secure. The second step for data privacy is reviewing the personal information shared with services and websites. Thanks to GDPR, most online services, including social media giants, now allow people access to a copy of the data they provided by using those services. Afterward, once the user establishes what they’re comfortable with in terms of sharing, they can choose a security solution that can minimize online tracking or risk of compromise. For eliminating ads, simple plugins like Disconnect or uBlockOrigin can offer users respite from online spam or malvertising, one of the most popular vehicles for malware infections. To break out of so-called “echo chambers”, simply switching to search engines like Startpages.com or DuckDuckGo can show a lot more content than Google’s personalized searches, which rely on massive data collection in order to show relevant results. In terms of actual security practices, malware, ransomware, and other attacks proliferate, so users have to do their due diligence and find proper solutions. 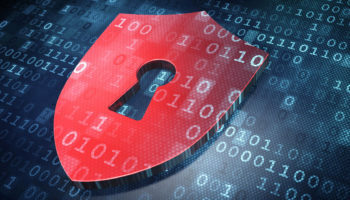 Because traditional Antivirus is a reactive, not proactive solutions, users should pick a threat prevention security suite that can stop infections not through local scanning but through web filtering. With the rise in attacks like cryptojacking, where malicious scripts hijack a computer or smartphone’s resources to mine cryptocurrency, threat prevention security solutions are essential. For true online security and privacy, we recommend combining a paid, top-rated security suite with good password practices (2FA is essential!) and browser plugins dedicated to stopping ad trackers and minimizing data collection. 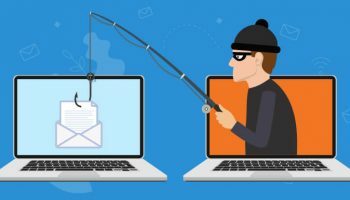 Online security has long been a game of cat and mouse but, with people acting proactively, the consequences of a large-scale hack or breach can be minimal. In terms of privacy, a simple browser script can make sure that the user does not participate in this surveillance system. By also choosing a more private search engine, users not only enjoy more anonymity, but they also avoid the ideological echo chambers created by AI that tailors content based on previous engagements. In this day and age, due to technological advancements, internet privacy is a sensitive issue. When talking about privacy, we actually talk about our own privacy, which is a fundamental right of every human being. Due to the fact that not all the websites provide proper protection, we all should be very careful how third parties use our data. For example, without knowing, our personal data may be collected for committing frauds, if we are not 100% aware of the data operator. In this respect, as a data privacy lawyer, I always recommend that all the internet users stick by the regulations set forward by the “GDPR” since it is the only to ensure no one can use our data without our consent. In conclusion, individuals must read data processing agreements carefully before signing anything, even if the signature represents a click on the terms and conditions button. From the very beginning, many SMEs have become collateral victims of GDPR due to insufficient investments in sophisticated encryption and protection software or inexpensive hours for audit and consulting services … But what many did not consider, is that many times SMEs can be more flexible in process rebuilding and alignment efforts. Most of the times small entrepreneurs are thinking their companies are too small to invest heavily in data protection processes. This is terribly wrong. GDPR applies to organizations of any size if data processing takes place regularly or if the processing includes special categories of data defined in Article 9 of the GDPR. GDPR comes with new rights, so new obligations – First, GDPR gives new people rights to their personal data. Theoretically, we can now go to a bank or supermarket to ask them to erase our data from their systems. This is theoretically only because there is some legal frame imposing us to expect at least 10 years to receive all personal data. Here is a real right: ask a provider to move your data and your agreement to another service provider… That’s a real right known as Data Portability. For example, you have the right to move the services file from one telco provider to another. But that does not mean that the old supplier will erase our data. Suppliers are now under a microscope– GDPR comes with new responsibilities on data processors. If we process data on behalf of a Data Controller, we need to keep its instructions in order to align the GDPR. If we make a mistake as a data processor, and the Controller can prove this, we could become directly accountable in front of Authorities. Do we need DPOs or not?– At SME level, obviously not. This does not exclude the recommendation to consider a project team and a project coordinator. Permanent tasks, even in an SME, such as keeping records of processing, consent, or breaches reporting, come in addition to the ingrained task of assimilating internal policies across departments. Employees as a weak link– Studies show that at least one-third of personal data vulnerabilities are due to personnel error. There is no substitute for training employees about their core responsibilities within GDPR. In addition, make sure your company specialists, such as traders, HR representatives, and board members, receive specific training on their roles about what they need to do to comply with GDPR. Small companies or individual specialists who ensure their compliance with GDPR benefit not only from safer and more professional business processes but also from a certain competitive advantage over competitors who did not pay much attention to the provisions of the new Regulation. GDPR compliance is a label of trust, loyalty, and respect for our customers and partners and the personal data they entrust us with. Fear for your family’s internet security and anonymity? Get Ivacy VPN for all your devices. If not for your privacy and security, the internet safety of kids is of the utmost importance. Not a lot of people realize it is important to keep an eye out for their kids. The last thing you want is for them to be targeted for being naïve online. Similar to how you need to educate yourself about bolstering your security online, you need to educate them about being smart regarding what content they view online and what websites they should and should not be visiting. To aid you in your cause, for you and your family, you should definitely use a VPN. Not only will it let you remain safe and secure online, but you can switch between VPN servers to access content online which normally would be limited due to geo-restrictions. There are data protection laws in place to ensure you are not compromised, but there are times when you will need to take things in your own hands to avoid getting in a fix.